What is your favorite product to purchase at a farmer's Market? My attempt to create a brand for our farm is in its early stages. We have called ourselves the Burnin R for a long time, but only recently started using it for business. Now that we are getting involved with farmers markets to sell our product, it is time work on our brand. I was looking for an original logo, one that would not be mistaken when seen. Even though we will be starting out as a local business, we need our customers and future customers to see our logo and know who we are. Old time cattle brands were self explaining to a point, the ranches name was evident within the brand. That is what I am trying to create with our logo. This is a first rendering of my idea. I have not finalized it, but it gives you an idea of what I am trying to do. I am open for criticism, so leave a comment with what you think. Another way that we are setting our farm apart from our competition is with our product. 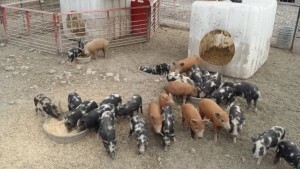 We have been raising Ossabaw Island Pigs for several years, and during that time we have been creating a cross that gives us a larger size and retains the awesome flavor and meat quality. This year we are fattening out 30 plus pigs to be sold as individual cuts at the farmers markets. I know for a fact that we will be the only ones that can claim to have this pork. 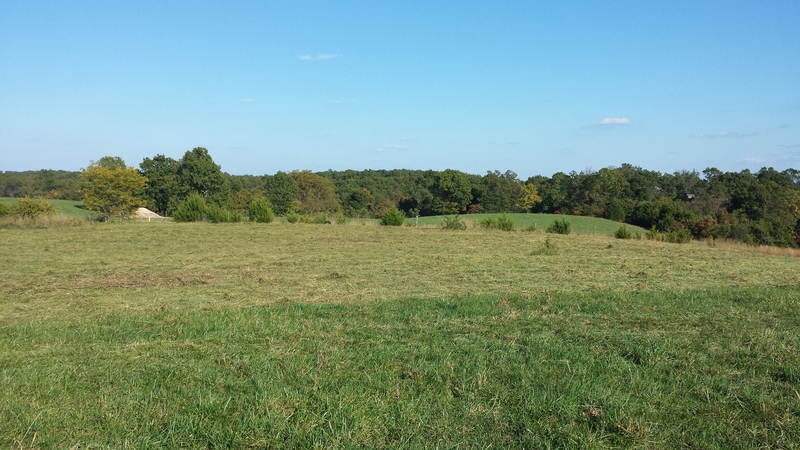 Most farms try to fatten a hog up as quick as they can. They use the standard feed mix sold at their local feed store which is usually a corn- soybean mix. This ration is great for fattening a hog, but the soy leaves an undesirable flavor and meat quality. We have been raising our pigs solely for meat quality and flavor. So, we have developed a special ration to finish our hogs off. It is a Ration that gives the meat a sweet flavor and firms up the texture a bit. Our pork sells itself, one try is all it takes. The difference is enough for people to seek out our pork. As the year progresses we will be working on ways to set our brand. We will be getting our brand in front of as many people as we can during this next farmers market season. 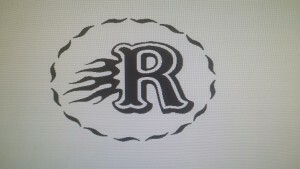 Hopefully the Burnin R logo will become known as the mark of great pork. Plus we will be introducing new products produced by our farm this year. 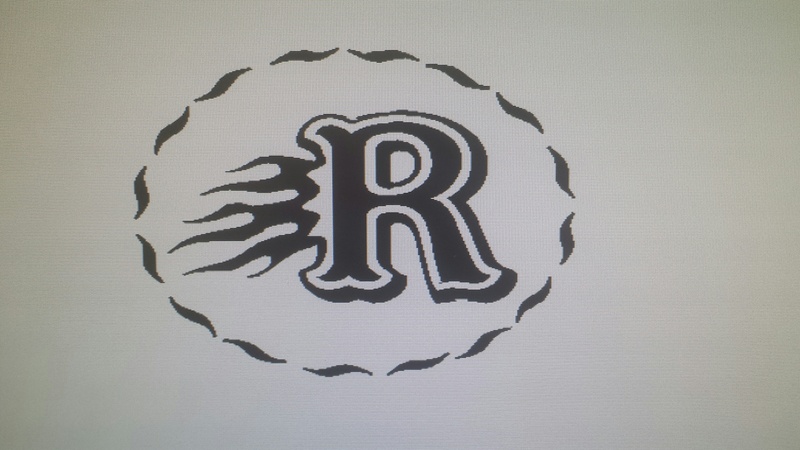 We are in early trials in producing several gourmet products, once perfected we will be putting them under the Burnin R Brand as well. Stay tuned!! Do you have your own brand or unique product? If you don’t, how will anyone pick you or your product over others? How do you set your farm or your product apart from everyone else? Creating an identity that people notice is what all businesses strive to do. Your identity is almost as important as your product. Having an identity or brand will go a long way in the eye of the consumer, just like street credibility. The more often a consumer is in contact with your identity, the better your product seems. Humans are funny creatures, what we see or hear creates our reality. Our brains collect and store data, some we use immediately, some we use to support later thoughts. If we shop for a product, a product that we have stored thoughts on, is immediately in better standing than one that we have nothing to recall. Stored thoughts can be from seeing the product first hand, or from a friend that has told us about it. Branding creates stored thoughts that can be used to validate and support decisions of consumers. Humans are also herd animals, we strive to belong. A brand can give you opportunities to give someone a sense of being a part of your business or product. If you put on a baseball cap, what is on it? It will usually have a brand or logo of something that you have an interest in, a sports team, a hunting brand, or a saying of some kind. This is how companies can get placed into your stored data and how they can influence your buying decisions. Branding is used by companies to represent them. Companies use names, symbols, jingles, styles of writing, and even animals to create their brand. Ranches use a symbol burned into the hide of cattle to represent them and show ownership, these symbols are called brands. Can you see a Clydesdale horse and not think of beer? As small business owners we should tap into this marketing tool. We should be finding ways to get stored in consumers minds. Product or brand placement is everywhere, stickers on vehicles, t-shirts, coats, hats, signs, billboards, radio spots, commercials, and even tattoos. even with a shoe-string budget, a business should be able to find a way to place their brand in the view or ear of a consumer. If you are a farmer at a farmer’s market, make sure your tent has your brand or name on it. if you have your meat processed to sell, have the processor put our name on the label. If you drive a vehicle, have your brand or name on a magnetic sign that you can stick to it. Get t-shirts made to wear when you are out shopping, and give them to friends to wear. There are a thousand ways to get noticed. Even the cheapest ideas can give your business a boost. Get creative and get seen or heard by your future customer. 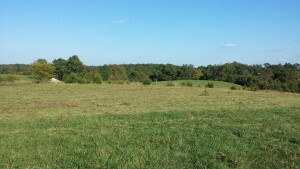 Winter chores and Spring/Summer chores change with the season. Winter shores include winter hay feeding, running animals up out of the weather, and making sure all water is thawed. Winter time on the farm is hard work. I am glad to see spring on its way. I look forward to the days when I don’t need to carry an ax to break ice, a knife to cut bale stings, and all the heavy layers of clothes. I stress when its cold, thinking about the welfare of the animals. Do they need more hay, are they staying out of the wind, and is the rain/snow making them cold. The warm rays of sunshine relieves stress in so many ways. One day soon I will lay in the grass and soak some rays up instead of dealing with old man winter!